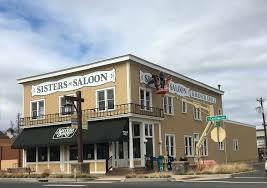 I bet you know that the Sisters Saloon and Ranch Grill’s home is a landmark building built in 1912. The sign is right out front. But, did you know that the original business survived two major fires in downtown Sisters in 1923 and 1924? Until 1978, it operated as the Hotel Sisters. In the early 1980s, the Reed family purchased the building and converted it into retail space. When converting the building to a restaurant was started in 1984, there was still an antique store upstairs and it remained there until 1986. During the initial building renovation, workers found old newspapers of the 1930s and a sign that still hangs in the building showing the hotel room and shower rates. There was even a reported sighting of a female ghost on the second floor! 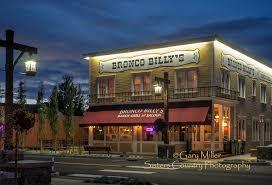 Today, the historic location is known for outstanding handcrafted food, a full bar, and a great time. Special activities include karaoke, poker, live music, banquets and parties, including the official Sisters rodeo after-party. Come in soon, enjoy a delicious meal and a local brew and see what all of the fuss is about! You might even spot the ghost on the second floor!